What do people from the UK think about Christmas in other parts of Europe? Last week we looked at what people from other parts of Europe think about Christmas in the UK. Today I’ve spoken to a number of people who have moved from the UK to Germany, France and Spain. I asked them when the Christmas celebrations take place, what new traditions they have discovered, what differences there are in terms of food, and whether there is anything that they miss. Corinne moved to Berlin, where she now works as an English teacher. 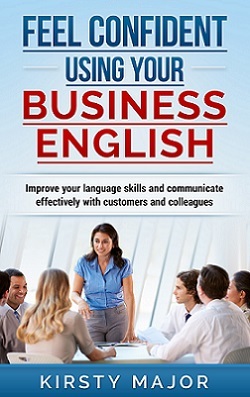 You can find out more about Corinne on her website, Byte Sized English. Reading aloud from a story book seems to be a lovely family tradition here that doesn’t wear off once the children can read independently in fact the older the kids get, the more involved they get reading for the rest of the family. Cleaning boots is still very much part of the Nikolaus tradition here. Jane is a German to English translator who now lives in Germany. You can find out more about Jane on her website Jane Eggers Translations. One thing we really like is the “Weihnachtsplätzchen” or Christmas biscuits. People bake big batches of them during Advent, serve them to guests, give them as presents etc. There are lots of different sorts. And the Christmas markets are a big part of Christmas too. In my husband’s (German) family there is less emphasis on the food altogether. In our house, though, we tend to do Christmas dinner British style, with a roast and all the trimmings. I also like to bake mince pies and Christmas cake, which are not traditional here. I miss the music. I find Christmas carols are very evocative, and the British ones still transport me back to the magical Christmasses of my childhood in a way the German ones don’t. So I make an effort to listen to some British carols while eating a mince pie or two, and then all is well! Cara is an online English teacher who focusses on helping upper intermediate to advanced students to understand spoken English. Cara now lives in France. You can find out more about Cara on her website Leo Listening. In France, the main celebration takes place on Christmas Eve, the 24th of December. People get together for a meal and open their presents on that day, rather than on the 25th like in the UK. I haven’t really discovered any new customs, because I’ve only celebrated Christmas once in France and I think we actually had our celebration on the 25th rather than the 24th that time! One example is that people don’t really send Christmas cards like we do in the UK. They send each other New Year cards instead. In terms of food, the main difference I can think of is ‘foie gras’ which people eat at New Year in France. This is a controversial French product made from goose liver. Their livers are fattened up through force feeding. You can also find a special type of chocolate at Christmas (I’ve seen the first packets in the shops this week) called ‘papillotes’. They’re chocolates wrapped up in shiny packages with a little message on a piece of paper. It can be a quote or a proverb or a joke. The filling in these chocolates is generally praline. They’re pretty good! People also eat Yule logs. My partner’s mum always makes one for us. I find the UK more Christmassy than France which is why I make sure, as far as possible, that I’m there for Christmas. In terms of food, I really like mince pies. I even got my parents to send me a couple of packets one year so that I could share them with a group of students I was teaching. I’ve never found any ready-made ones here (I suppose I could have made them myself!). My parents have just sent me and my partner a couple of advent calendars through the post (we’re in our 30s!). You do get them in France, but these are Dairy Milk ones and Cadbury’s chocolate can be tricky to find here. Molly is currently doing a work placement in Spain. How Spain celebrates Christmas is something I studied around 5 years ago during School and again in College. Whilst most of us Brits have Christmas Dinner on Christmas Day, the Spanish tend to have theirs on Christmas Eve. At midnight they may go to Midnight Mass or “La Misa De Gallo”, here they will walk around with torches and play music. Although the 25th December is prominently celebrated as the main Christmas Celebration, Spain does not do things by halves they celebrate the festive season on many days as religion is important here. On the 28th December is Day of the Innocent Saints or “Día de los Santos Inocentes”, this is basically April Fools Day in Spain where they all play pranks on each other! New Years Eve is also a very exciting time to be in Spain (I will be back in Barcelona and I am very excited!). It is the same environment as the UK, everyone is out in the streets and there are fireworks but Spain has a very different tradition. As the clock has twelve strikes at midnight, with each strike you have to eat 12 grapes and if you do in time you are meant to be lucky in the next year! The grapes here are seeded and rather large so it is a challenge! The final celebration of Christmas is on the 6th January, it is called the Epiphany and it is about the Christmas Story. In Spain it is called Fiesta de Los Tres Reyes Mages which translates as the Festival of the 3 Magic Kings and celebrates when the 3 Wise Men bought gifts for Baby Jesus. Some presents are opened on Christmas Day but the majority are opened on the 6th January (I used to hate that my mum made me wait till 6pm on the 25th! ), children write letters to the Kings on Boxing Day. The night before the Epiphany they leave shoes on windowsills or under the tree to be filled with presents! This tradition of Catalonia which is obviously where I live is new to me, I am currently writing an article for my job and it is about Christmas and any research I find always comes back to this tradition and it is rather odd. There is a character at Christmas called “Tió de Nadal” (the Christmas log) or he is also known as “Caga Tió” which is funnily referred to as the “pooping log”. The wording is very funny to me but the concept is nice. It is a small hollow log with legs and a face painted on the end. From the 8th of December Catalan Families give it food to “eat” and a blanket to keep it warm. On Christmas Eve/Day, the log gives out small gifts and people sing songs and hit it with sticks to help it´s “digestion”. The log then drops sweets, nuts and dried fruits. When garlic or onion falls out, all the treats are finished for the year! 3. The food from what I have read in articles is the same food as England but just cooked a different way and with other foods. They have Turkey but it is stuffed with Truffles! In Galicia the most common food to eat is Seafood, I am not a seafood person I have never liked it so being in Barcelona is tough because it is everywhere! I am very much looking forward to having my Christmas Chicken Roast Dinner with all the trimmings! I think I have eaten all the tapas Barcelona has offered so far! The main thing that I miss about the festive season in the UK and to be honest I have missed it throughout my time here is … Roast Dinners. They are a staple for Sunday lunches throughout the year. In Barcelona I haven´t seen any restaurants that sell Roast Dinners and to be honest I do not want to have one here in case I am disappointed by them, and I really want to wait because when I have my roast dinner at Christmas with my family it will be more special! If I could I would make them but I cannot find gravy, Yorkshire puddings or pigs in blankets so I may have to sneak some gravy back on the plane with me in my luggage! That is the only real thing I miss, apart from the Christmas Adverts of course! Luckily I have a Netflix account so I can watch all the Christmas Movies I want and the same with YouTube with the Christmas Songs but Christmas lights are already up so there´s not much to miss! My 12 days of Christmas run from 5th to 20th December. On each of the 12 days, there will be a new offer for learners of English – either a paid service at a reduced price, or a paid service that is free for one day. To find out more and sign up for the Christmas email alerts, visit my Christmas page.